Quotes List Report – Welcome to the NextMinute support and feedback centre. 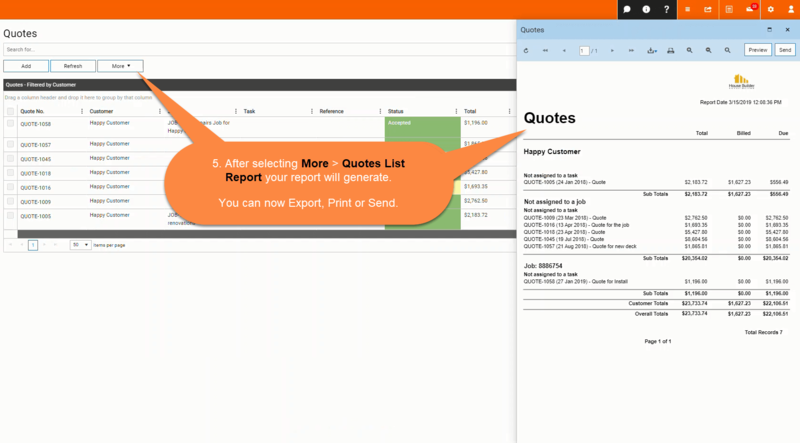 Quickly create a report on all your Quotes to save, print or send as required. You can narrow your report down by turning on Filters. In the below example we will create a Quote List Report using the Customer filter. The Quote list report is found via the More drop down as shown below. 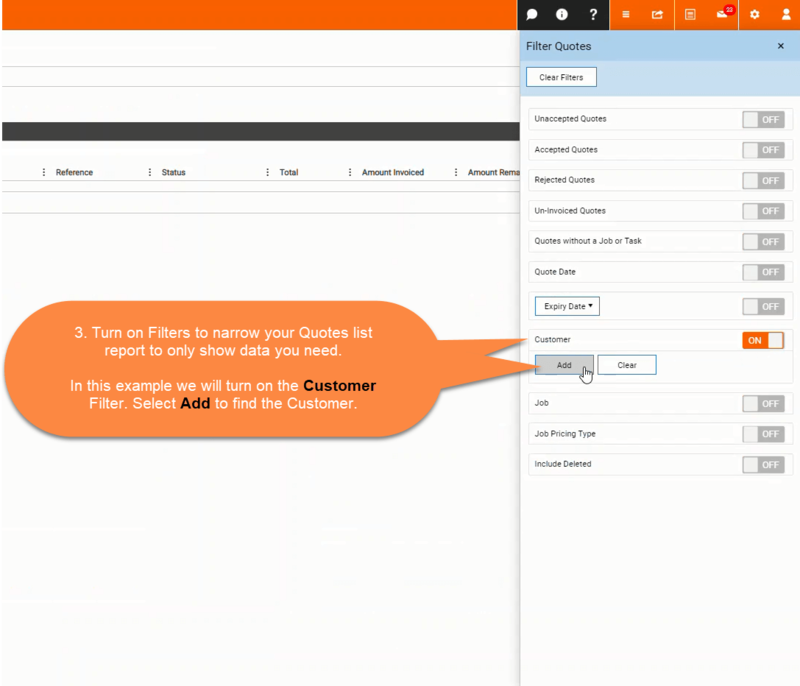 Step 2: Turn on the Filters needed for your Quote list Report. We will turn on the Customer Filter and select Add to search for the Customer. 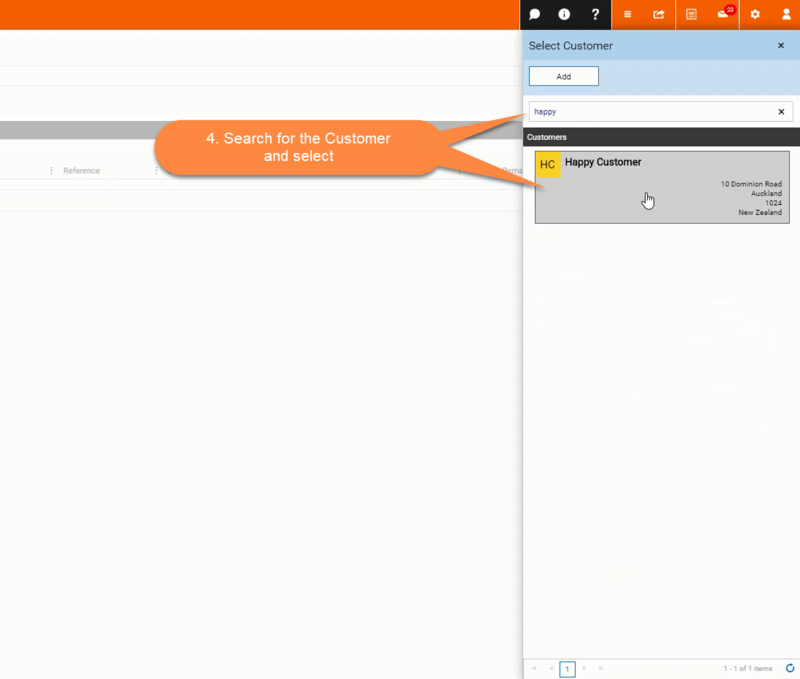 Step 3: Search for the Customer by typing their name into the search bar and hitting enter. Select the customers name. Step 4: Go to More and select Quotes List Report. Below we can see all the Quotes for Happy Customer, the total, what's been billed and what's due.